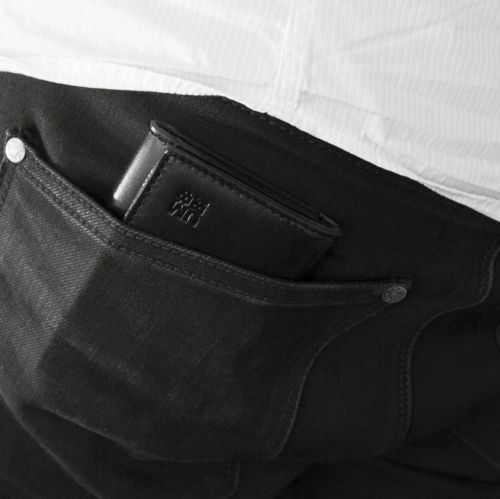 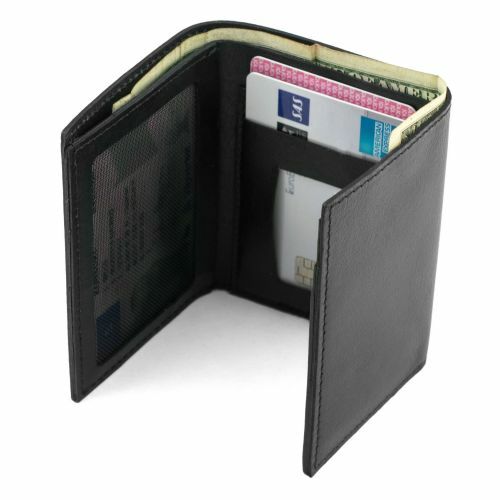 Slick tri-fold wallet with four card slots, one semi-transparent pocket (handy for ID-card or similar) and one big pockets for notes. 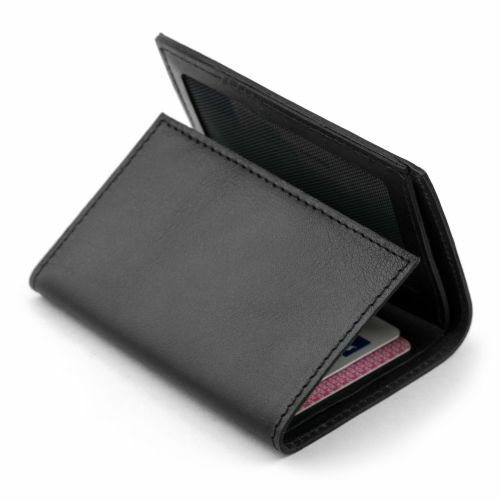 This wallet is perfect for those with some more cards that wouldn't fit in a slimmed down card case. 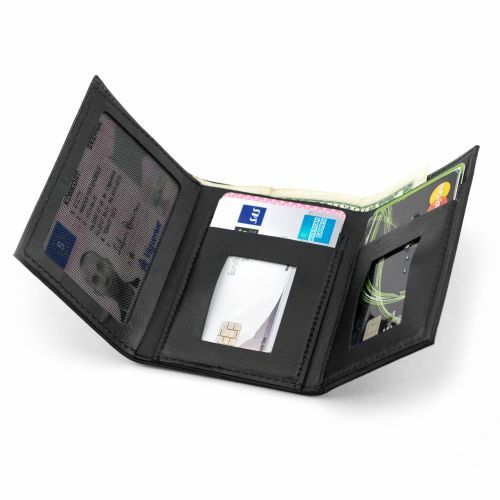 Colors: Black, with black threading. 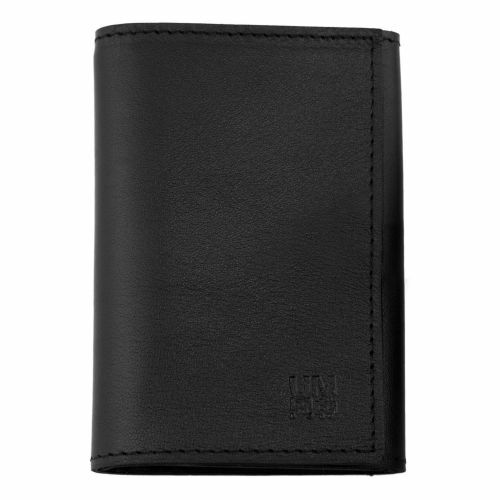 Measurements: 10.5 x 7 cm (4.1" x 2.7") when closed. 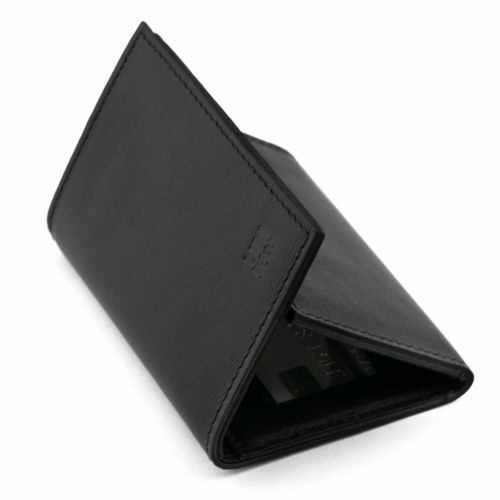 About 20 cm (7.9") wide when wallet is fully open.